*The Third Form Latin Workbook Key is not needed if you buy the Third Form Latin Teacher Key (for Workbook, Quizzes, & Tests). We make this version available for our customers enrolled in the Online Academy or similar courses. Anne of Green Gables tells the story of Anne Shirley, the spunky, talkative, imaginative, red-haired orphan girl living with the Matthew and Marilla Cuthbert in the town of Avonlea. Through mishap and adventure, readers watch the precocious Anne grow from a lonely, emotional child to a self-assured and confident young woman. This timeless coming-of-age story is told with beauty, spirit, and wit, and its dauntless heroine is sure to charm readers of every generation. Anne of Green Gables tells the story of Anne Shirley, the spunky, talkative, imaginative, red-haired orphan girl living with the Matthew and Marilla Cuthbert in the town of Avonlea. Through mishap and adventure, readers watch the precocious Anne grow from a lonely, emotional child to a self-assured and confident young woman. This timeless coming-of-age story is told with beauty, spirit, and wit, and its dauntless heroine is sure to charm readers of every generation. The Anne of Green Gables Student Study Guide increases the student’s vocabulary and reading comprehension by providing in-depth vocabulary study, comprehension questions, and enrichment activities. Anne of Green Gables tells the story of Anne Shirley, the spunky, talkative, imaginative, red-haired orphan girl living with the Matthew and Marilla Cuthbert in the town of Avonlea. Through mishap and adventure, readers watch the precocious Anne grow from a lonely, emotional child to a self-assured and confident young woman. This timeless coming-of-age story is told with beauty, spirit, and wit, and its dauntless heroine sure to charm readers of every generation. The Anne of Green Gables Teacher Guide includes all answers to the Anne of Green Gables Student Study Guide as well as tests and quizzes. The Anne of Green Gables Teacher Guide enables educators to guide students to a deeper understanding of the novel and a greater awareness of the central proposition that gives the story ultimate meaning and expression. From the publisher: After witnessing his father’s crucifixion by Roman soldiers, Daniel bar Jamin is fired by a single passion: to avenge his father’s death by driving the Roman legions from the land of Israel. Consumed by hatred, Daniel joins the brutal raids of an outlaw band living in the hills outside his village. Though his grandmother’s death slows his plans by forcing him to move home to care for his sister, he continues his dangerous life by leading a group of the boy guerrillas in spying and plotting, impatiently waiting to take revenge. In nearby Capernaum, a rabbi is teaching a different lesson. Time and again Daniel is drawn to the teachings of Jesus of Nazareth, only to turn away, disappointed and confused by Jesus’ lack of action in opposing the Romans. Devoid of tenderness and forgiveness, headstrong Daniel is also heedless of the loyalty of his friend Joel; the love of Joel’s sister, Malthace; and the needs of his own disturbed sister, Leah, dragging them down his destructive path towards disaster. From the publisher: "After witnessing his father’s crucifixion by Roman soldiers, Daniel bar Jamin is fired by a single passion: to avenge his father’s death by driving the Roman legions from the land of Israel." In The Hobbit, J.R.R. Tolkien tells the story of Mr. Bilbo Baggins and his unexpected and rather uncomfortable adventure over the edge of the Wild. Rousted from a comfortable life in his hobbit hole by the wizard Gandalf, Bilbo joins a company of dwarves as they seek to reclaim their home far away in the Lonely Mountain. Along the journey, Bilbo has one adventure after another and meets many extraordinary creatures including goblins, trolls, elves, wargs, giant eagles, and even the fearsome dragon, Smaug. At the end of his adventures, Bilbo Baggins returns to life in his hobbit hole, but with an understanding that he has been forever changed by his journey "there and back again." In The Hobbit, J.R.R. Tolkien tells the story of Mr. Bilbo Baggins and his unexpected and rather uncomfortable adventure over the edge of the Wild. Rousted from a comfortable life in his hobbit hole by the wizard Gandalf, Bilbo joins a company of dwarves as they seek to reclaim their home far away in the Lonely Mountain. Along the journey, Bilbo has one adventure after another and meets many extraordinary creatures including goblins, trolls, elves, wargs, giant eagles, and even the fearsome dragon, Smaug. At the end of his adventures, Bilbo Baggins returns to life in his hobbit hole, but with an understanding that he has been forever changed by his journey "there and back again." The Hobbit Student Study Guide increases the student’s vocabulary and reading comprehension by providing in-depth vocabulary study, comprehension questions, and enrichment activities. In The Hobbit, J.R.R. Tolkien tells the story of Mr. Bilbo Baggins and his unexpected and rather uncomfortable adventure over the edge of the Wild. Rousted from a comfortable life in his hobbit hole by the wizard Gandalf, Bilbo joins a company of dwarves as they seek to reclaim their home far away in the Lonely Mountain. Along the journey, Bilbo has one adventure after another and meets many extraordinary creatures including goblins, trolls, elves, wargs, giant eagles, and even the fearsome dragon, Smaug. At the end of his adventures, Bilbo Baggins returns to life in his hobbit hole, but with an understanding that he has been forever changed by his journey "there and back again." The Hobbit Teacher Guide enables educators to guide students to a deeper understanding of the novel and a greater awareness of the central proposition that gives the story ultimate meaning and expression. This Famous Men of Greece Student Guide includes famous quotes, a drill of key people and places, 10 vocabulary words, 5-10 comprehension questions, and an activities section with mapwork, discussion questions, and research projects. The Appendix contains maps, a “Who Said That?” worksheet, a timeline, drill questions, and drawing pages. The first 11 lessons are a review of Greek mythology and are therefore not included on either the Final Exam or the Famous Men of Greece Flashcards. Our Famous Men of Greece Student Guide includes famous quotes, a drill of key people and places, 10 vocabulary words, 5-10 comprehension questions, and an activities section with mapwork, discussion questions, and research projects. The Appendix contains maps, a “Who Said That?” worksheet, a timeline, drill questions, and drawing pages. The first 11 lessons are a review of Greek mythology and are therefore not included on either the Final Exam or the Famous Men of Greece Flashcards. This Teacher Guide includes tests. In addition to introducing your child to the classical stories and people of Greece, we highly recommend these flashcards to improve your child's recall as he or she explains and remembers the famous events, stories, and people that have shaped history and Western civilization. Who made Sparta the greatest military state in Greece? What was the Peloponnesian War? You can be sure your child will know and remember these important facts, and more, with Memoria Press' flashcards. You can purchase sets made for each Famous Men book series, as well as D'Aulaires' Book of Greek Myths. Our Famous Men of Greece Student Workbook includes famous quotes, a drill of key people and places, 10 vocabulary words, 5-10 comprehension questions, and an activities section with mapwork, discussion questions, and research projects. The Appendix contains maps, a “Who Said That?” worksheet, a timeline, drill questions, and drawing pages. The first 11 lessons are a review of Greek mythology and are therefore not included on either the Final Exam or the Famous Men of Greece Flashcards. Regarding the College of the Redwoods Pre-Algebra Textbook, the publisher says: "At the College of the Redwoods, Prealgebra is the second of the dour developmental courses in mathematics, designed to prepare students with the necessary background to succeed in a college transfer level course." Regarding the College of the Redwoods Pre-algebra Solutions Manual, the publisher says: "At the College of the Redwoods, Elementary Algebra is the third of the four developmental courses in mathematics designed to prepare students with the necessary background to succeed in a college transfer level course." This solution manual contains answers for odd problems only. The Pre-algebra Quizzes & Tests work in conjunction with the College of the Redwoods Pre-Algebra program and are used in order to enhance and sharpen the student's grasp on the concepts taught within the textbook. The Pre-algebra Quizzes & Tests Answer Key provides answers to the questions contained within the Pre-algebra Quizzes & Tests book. The Classical Composition IV: Refutation & Confirmation DVDs feature superb explanation of the material covered in the Refutation and Confirmation Stage by Dr. Brett Vaden. We have looked, and we cannot find an American history study on a grammar-school level that we think rivals H. A. Guerber’s two-volume American history set from the turn of the 20th century. So, rather than settle for lesser quality, we have combined Guerber’s The Story of the Thirteen Colonies and the Great Republic into one volume that makes it a perfect one-year survey of American history for the middle school years. Our edition of this text has been heavily edited to make it more concise and to allow for the fact that many events considered pivotal to history in the late 1800s have paled in significance with the passing of time and events such as two world wars. Our new study guide for this course includes important facts, vocabulary, and comprehension questions for each chapter, as well as enrichment activities such as map work, drawings, research, writing assignments, and more! Our new study guide for this course includes important facts, vocabulary, and comprehension questions for each chapter, as well as enrichment activities such as mapwork, drawings, research, writing assignments, and more! As a supplement to Guerber's The Story of the Thirteen Colonies & the Great Republic, we have compiled a list of 200 questions that everyone should know about American history. This little book comes with a teacher key. The questions come directly from our newly edited Guerber book and The Story of the World, Volume 4. With these new books, students will get a good grounding in American history that will be a thorough preparation for a more difficult high school American history course. *This Guide was originally made to be used with Guerber and Everything You Need to Know About American History Homework, which is now out of print. While we work on a suitable replacement you may need to make a few modifications if you do not have this book. We have compiled a list for you. As a supplement to Guerber's The Story of the Thirteen Colonies & the Great Republic, we have compiled a list of 200 questions that everyone should know about American history. The questions come directly from our newly edited Guerber book and The Story of the World, Volume 4. This Teacher Key includes quizzes and tests. These cards are based on our 200 Questions About American History study guides, but can be used with any good American history course. Who "financed Columbus' first voyage?" Who was President during World War I? These are basic questions that everyone should know about American History. We have always been fans of Susan Wise Bauer's Story of the World series, but we never seemed able to find room for it in our curriculum in the past. We recently came up with the great idea of adding it as a supplement to our Classical Core packages for summer reading! Read Volume 4 before 8th grade. English Grammar Recitation Workbook Four Student Book is tied specifically to the grammar taught in Third Form Latin and covers 30 additional grammar rules. These rules teach phrases and verbals and expand upon nouns and pronouns. A thorough review of the rules from Workbook One-Three is also included. 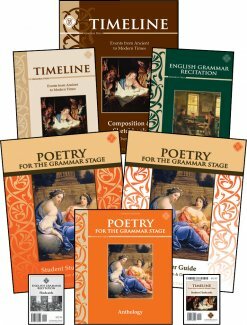 English Grammar Recitation Workbook Four is tied specifically to the grammar taught in Third Form Latin and covers 30 additional grammar rules. These rules teach phrases and verbals and expand upon nouns and pronouns. A thorough review of the rules from Workbook One-Three is also included. Christian Studies IV takes students back through the highlights of the Bible, reviewing drill questions, Scripture memory passages, and more! Our Christian Studies IV Reader provides historical background information and an outline of overarching themes for each book of the Old and New Testament. It can be used as a standalone resource, or as a companion book to the Christian Studies IV program. The Greek Alphabet Book is an 80-page book suitable for any age from second grade to adult. It can be covered in a week or a year depending on the age of your student and how much time you want to invest each week. At Highlands Latin School, we use The Greek Alphabet Book in the 5th or 6th grades over the course of a whole year, covering about two letters per week, and devoting about 30 minutes each week to Greek. The Greek Alphabet Student Book is suitable for any age from second grade to adult. It can be covered in a week or a year depending on the age of your student and how much time you want to invest each week. At Highlands Latin School, we use The Greek Alphabet Book in the 5th or 6th grades over the course of a whole year, covering about two letters per week, and devoting about 30 minutes each week to Greek. 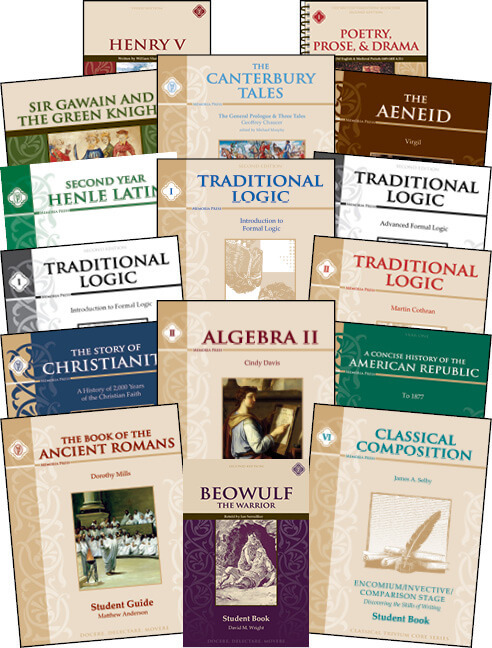 Based on years of research, Memoria Press is pleased to offer the ninth year of our planned Junior K – 12th grade classical curriculum. Now your child can have a Highlands Latin education at home using the very same materials our teachers use in our highly acclaimed programs. 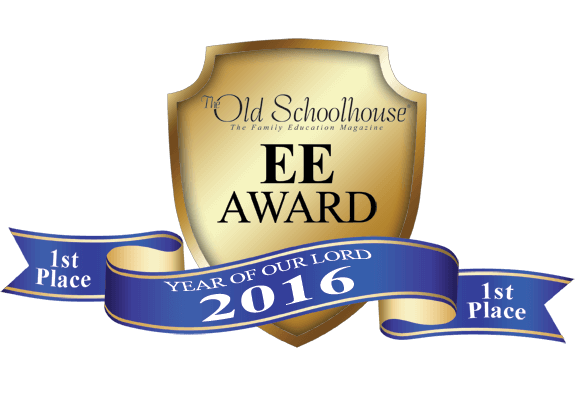 By following the daily lesson plans in our full-year Curriculum Guide, you will have every tool you need to give your child the very best education possible. Concerning Latin: Students should complete First and Second Form Latin before moving to Third Form Latin. Concerning Composition: Students should complete Classical Composition I: The Fable Stage and Classical Composition II: The Narrative Stage before moving on to Classical Composition III: The Chreia/Maxim Stage. Please consult our Classical Composition Sequence Chart if you have any questions. AMAZING! bought this for my struggling student…she amazed me. By working hard she proved to herself she could do this and do it well. Now she has all the confidence in the world and not only is continuing in Latin, she wants to take Greek AND Spanish!!! That is simply amazing. She also did wonderful on her state testing….this was just the thing to boost her confidence and now nothing can hold her back. This saved me from a year of chaos in my home! I combined my 6th and 8th grader into this 7th grade curriculum and it brought order to my home.